If there was a possibility, Lasith Malinga enhanced his reputation as a death-bowling genius with a fine spell on Saturday against England. England, who were cruising at 190 for 3 in the 37th over, were restricted to 278 for 9, with Malinga’s 5 for 44 stopping the visitors from going for a final flourish. But more than enhancing his reputation, it was about giving the selectors, who had overlooked him a few months ago, a sound remainder that his skills were still potent. Maybe the added weight and dropping fitness levels that became a bone of contentions with Angelo Mathews weren’t concerns when it came to the slingy pacer. Just like Mathews had reminded the team management of his impressive batting numbers recently in ODIs, Malinga did the same after his fifer. “500,” he claimed several times – a reminder of having reached the 500 international scalp landmark. 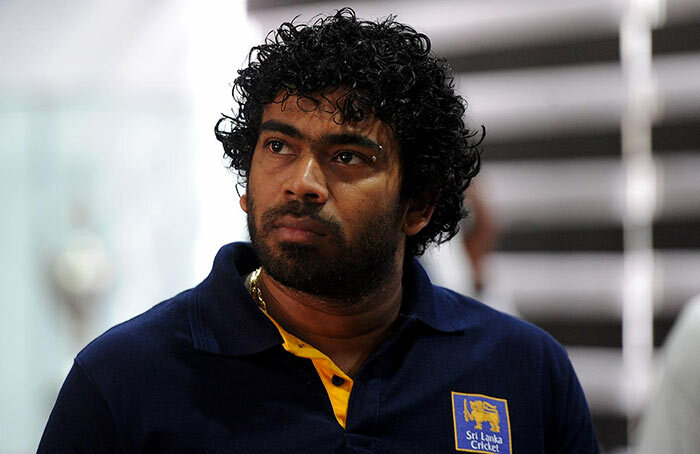 Malinga didn’t come back into the ODI side at the back of any 50-over performance. In fact, during the domestic provincial one-day tournament, he was busy offering his services as a bowling consultant to Mumbai Indians in the IPL. However, a reasonably good show in Canada’s Global T20 and the domestic T20 tournament, paved his way back to the national side. One of the prime reasons for Malinga’s downfall was his dropping pace. With pace not becoming a factor to worry, the change in pace and the corresponding variations were becoming easier for batsmen to pick and hit. Now he is slowly finding his way back from that, and came out clocking in excess of 140kmph several times during the game against England. More importantly, in a team that is struggling to win matches, he has been a rare shining light. Malinga has definitely come back with a bang. I really don’t understand why Upul Tharanga is still in the team. He very inconsistent for a player who has been playing international cricket for 13 years. Apart from his batting his fielding is appalling. Also this chopping and changing of batmen’s positions does not seem to work. Can some one tell me if they know exactly what is going on with our cricketers. Are they serious about representing their country or are they just playing for the money and that comes with the job???. Because it just seems like our batsmen are playing Gudu at the moment. I do not why mediua continue to support Angelo Matthews? Malinga was axed because he was outspoken about Pich Fixing. Particularly in a match against India in SSC the curator didn’t produce the pitch with more grass to SL Team (especially for Malinga). The pitch produced didn’t have grass (or cut to 1 C.M). When questions the curator gave an absurd answer that he mistakenly used wrong blades! Malinga aired that in a meeting and that was it! It is not only attributed to his age and fitness. 70% fit Maliga is better than other fast bowlers in present SL squad. Malinga is a fighter and still other cricketers respect him. See the comments of England star batsmen. He said it was Malinga who stopped them going beyond 300! Thank God we have the last of you. Go to IPL for your millions, my dear.